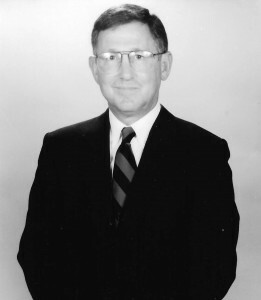 Michael Miller served as the Senior Vice President of Real Estate at Toys R Us, Inc. for 22 years. In this position he was responsible for the Real Estate, Asset Management, Legal, Architectural, Construction and Real Estate Accounting Departments. Mr. Miller also served as the Chairman and President of the Toys R Us Children’s Fund for 12 years. The Toys R Us Children’s Fund is a not for profit foundation established to raise and donate funds to support children in need. As Chairman and President, Mr. Miller was responsible for the oversight of the entire foundation, which was established in 1992. During his tenure, the foundation provided grants to worthwhile causes in excess of 30 million dollars. Affiliations: Board Member/Treasurer, Operation Respect; Board member and co-Treasurer, Jewish Services for the Developmentally Disabled; Board Member/President, The Manors at South Orange; past Board Member, D.A.R.E. NYC; Past President, United Jewish Centers MetroWest; and Past President, The New Jersey Jewish News. ; Recently appointed by the Supreme Court State of New Jersey to be a member of the Fee arbitration Committee for a 4 year term; Serves as Vice Chair Planning Board Village of South Orange, NJ. He and his wife Susan have two sons and currently reside in New Jersey.